As a teacher, whenever you create a new class or section from your Teacher page you'll have the option to set a "main course" for that class. 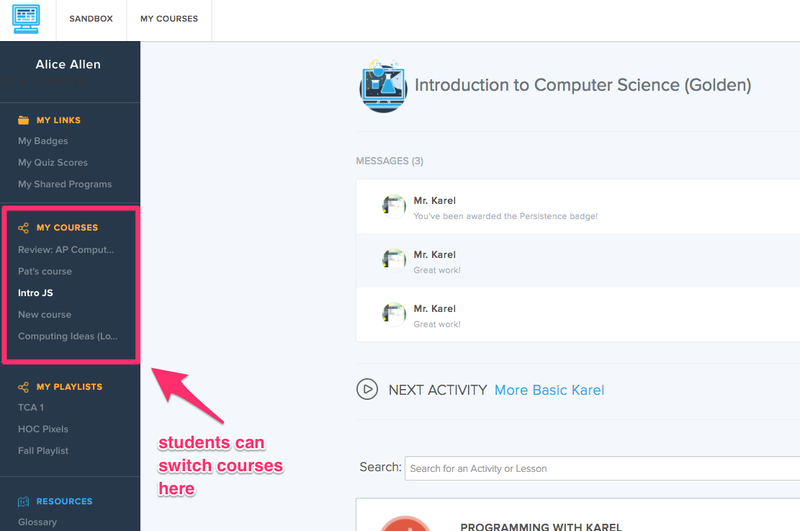 This is the course that students will automatically be taken to each time they log in. From your 'Class Settings' page, you can determine the additional courses that you would like that class to be enrolled in by adding new courses from the course catalog.